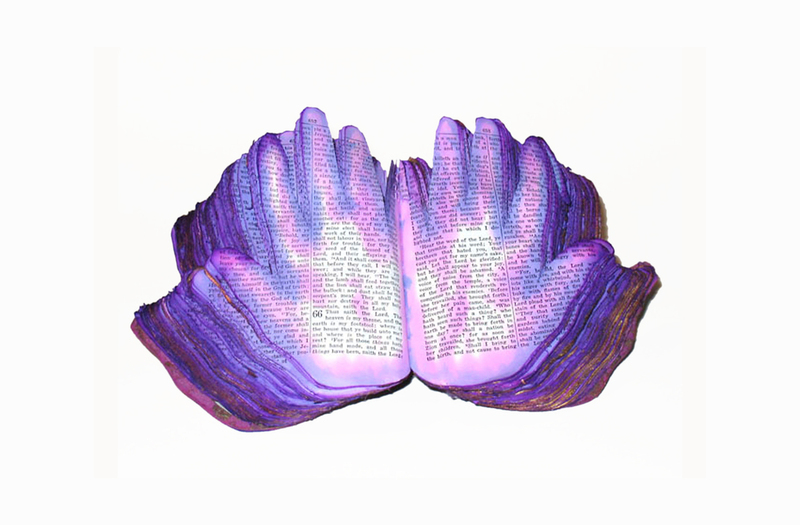 Words of God Slip Through My Hands is made from the bible I received during my Bat Mitzvah, the Jewish rite signifying one's passage from childhood to adulthood. Words of God is in the shape of my open hands, reduced to fit the page size of the bible. The bible, itself, is deconstructed, cut and sewn back together to create a new prayer book that reflects my doubts about things divine. 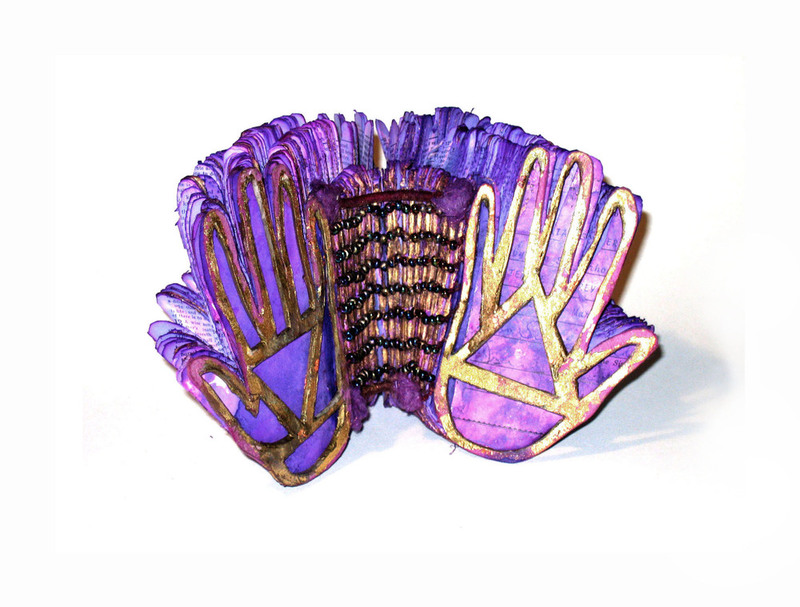 I also made the book's box in the shape of my hand, and lined the interior with leftover fragments from the cut bible pages.